The depot that houses Big John’s Custom Signs Carvings & Slabs is the most unique artist studio I've photographed thus far. 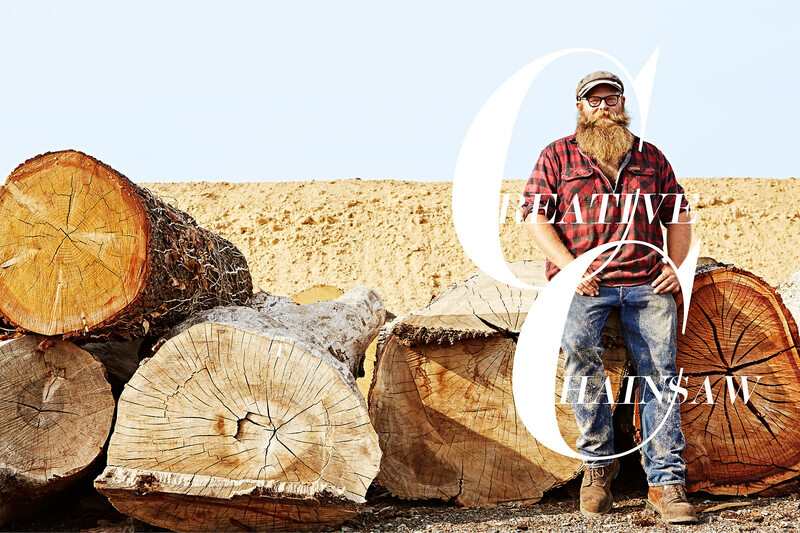 Located in Irvine, California at his father's place of business, the largest tree cutter in the U.S., Big John fashioned a storage container into his studio and began carving out his own one-of-a-kind business. Art school helped him realize that he had a knack for carving sculptures with a 65-lb. chain saw, a skill that he quickly parlayed into a viable business. The day I visited his studio, he was creating Tiki tables for a taco restaurant chain.